It's almost that time. That time when my husband goes into a sort of hibernation. When the iPad, smart phone, and laptop are the center of his universe. The time when he thinks he works for the Virginia Tech football team coaching and recruiting staff. The time when his fantasy team is more important than anything actually happening in reality. That time when he stops shaving and wears the same pair of socks for 6 months. (OK that last one isn't true, but it might as well be). You guessed it... it's time for football. I'm excited. And yes, I may have put air quotes around the word excited. I'm not excited to watch a Redskins game every week, because that's his team. I'm not excited to watch Da Bears or the Sea Hawks play every week, just because they exist. I'm not excited to tell an entire story about the catastrophe that was my workday, only to realize that Mike had no idea I was even talking. For 10 minutes. But I am excited for tailgating season. So that makes me like, 8.2% excited that football season is back. So why don't you jump on my (air quotes) excitement train (air quotes), and start tailgating with me! Hey, there is lots of food and wine involved so you'll like it. And if you're saying to yourself, "but Liz, I don't go to football games so I can't tailgate..." Well that's a piss poor attitude. You can tailgate for anything: dance recitals, parent teacher conferences, Wednesdays... you get the idea. Oh my gosh, what a fun post!! So many yummy treats. 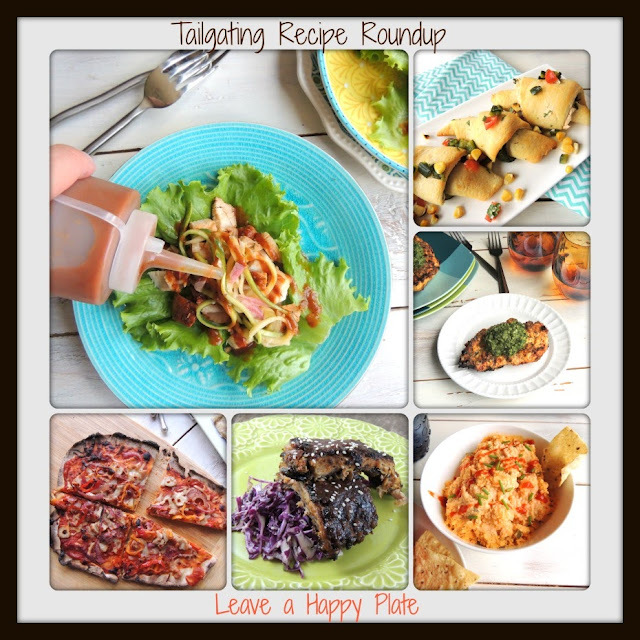 Thanks so much for sharing at the Foodie Friends Friday link party this week!